Ferry service is scheduled and pretty reliable from St Thomas to Tortola every day. The ferry ride is 45 to 90 minutes depending on the boat, destination and route. St Thomas ferry terminals are located downtown in Charlotte Amalie and further east at Red Hook. Ferry companies include Fast Ferry, Smith’s Ferry, Native Sun and Ocean Dreams. At the main terminal in Charlotte Amalie , once you get your ferry tickets and check in your bags, go upstairs to the Petite Pump Room for a tasty burger, chicken sandwich or Conch Fritters and maybe your first rum punch of the vacation. Good service and a beautiful view of the harbor are yours, as you wait for your ferry. Seaborne Airlines, a seaplane airline, is located next door to the Charlotte Amalie Ferry Terminal so expect some interesting sights and sounds as they take off and land in the harbor waters right in front of you! Currently all Tortola bound ferries go to Road Town. It is a 30 to 40 minute car ride to the East End or the West End communities from there. The West End Ferry terminal at Sopers Hole might reopen later this month! Contact information with links to their web site, a Tortola phone number ( 284 ) and a US / St Thomas number ( 340 ) are listed. You can buy tickets in advance on line and save some time at the ferry terminal. Check out the discount on a round trip ticket and be aware that you will pay a 10 dollar per person environmental fee upon your arrival in Tortola. There is also a 20 dollar per person departure tax as you leave Tortola, so the total cost is around one hundred dollars round trip for the ferry trips. The 5 minute taxi ride from Cyril E. King St Thomas Airport to the Charlotte Amalie ferry terminal is 10 dollars per person each way, with no charge for 2 bags. Additional bags are 2 dollars each. If you are flying into Cyril E. King Airport in St Thomas on your way to Tortola, be aware that customs in the BVI closes down at 5-6 pm. You want to plan to land at St Thomas to make the 2:30 or 3:30 ferry to Tortola. 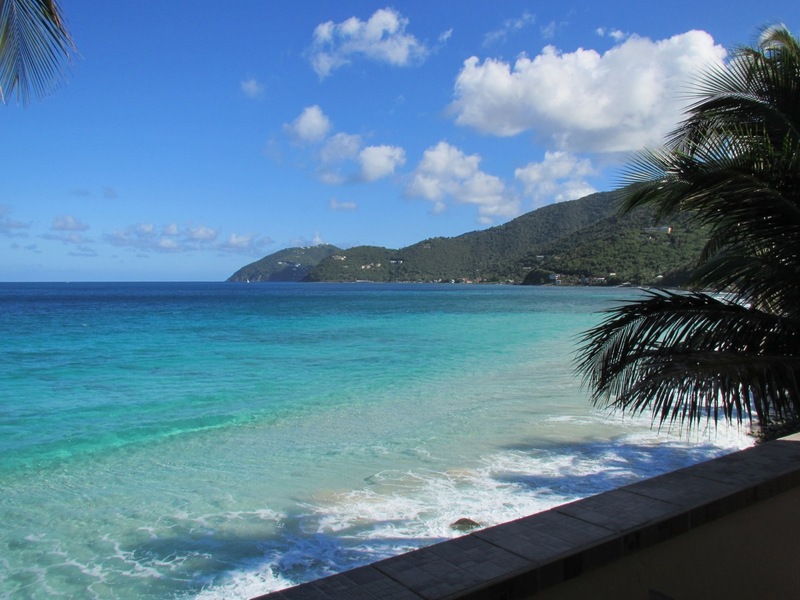 If your flight lands after 3 pm, plan on spending the night in St Thomas or taking a private water taxi to the Tortola. Dolphin Water Taxi and Ocean Dreams operate out of St Thomas and offer 12 to 50 passenger boats for passage to all of the British Virgin Islands and ports. Please note, if your flight down is delayed, you can usually get together with a group of fellow passengers to make a deal with one of the water taxi companies. The taxi service will pay for a late entry fee and you are at your vacation destination as planned, at a reasonable cost. Last, it is worth checking the ferry dock, if you are in Roadtown the day before you are leaving Tortola, to verify the ferry departure times. Most flights home from St Thomas require you get on the 9:00 or 9:30 am trip which are offered by different ferry companies.